Knighton Park Road in Sydenham is a street of small late Victorian three bedroom houses, typical of its era. Apart from a few cars that use it as a cut through to try to avoid the traffic lights at the junction of Sydenham Road and Kent House Road, it’s very quiet once you get away from the internal combustion noise of the main road. 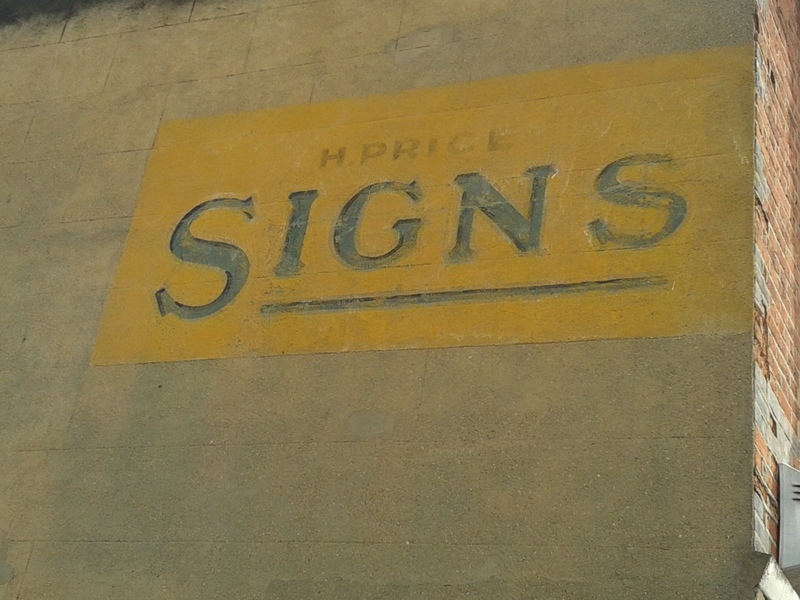 Henry Price lived and worked from 39 Knighton Park Road from before just World War Two to around his death in 1973; he painted signs and advertising boards as well as cars, vans and trucks. His handiwork was on the corner of the house he used to live in. 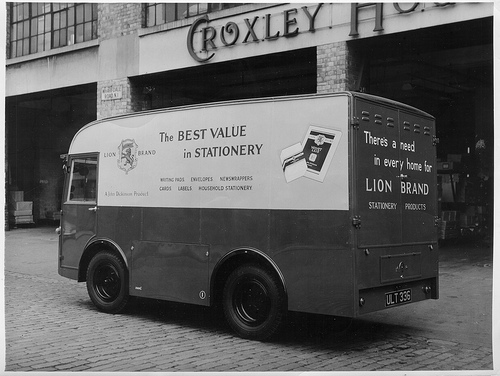 The sign was striking, but much more impressive are the signs that he painted on the sides of vans, often those for a variety of stationery firms. The stunning one below on a 20 cwt Morrison-Electricar has been shared by his grandson through Geograph on a creative commons, but there are several others which have been scanned as part of a set on Flickr. Sadly the sign is no more – I had waited for the perfect photograph opportunity on the north facing wall, hoping for the adjacent tree to be covered with spring blossom and combined with a lack of vans, trucks or cars before writing this post. That perfect opportunity sadly never arose and, alas dear reader, the sign is gone – the house has been extended upwards and outwards and the outside render along with its ochre sign has been replaced. This is no criticism of the owner or developer, signs like this are generally not protected, although their value is beginning to be recognised in some boroughs and local listing has given to a few signs in Hackney. 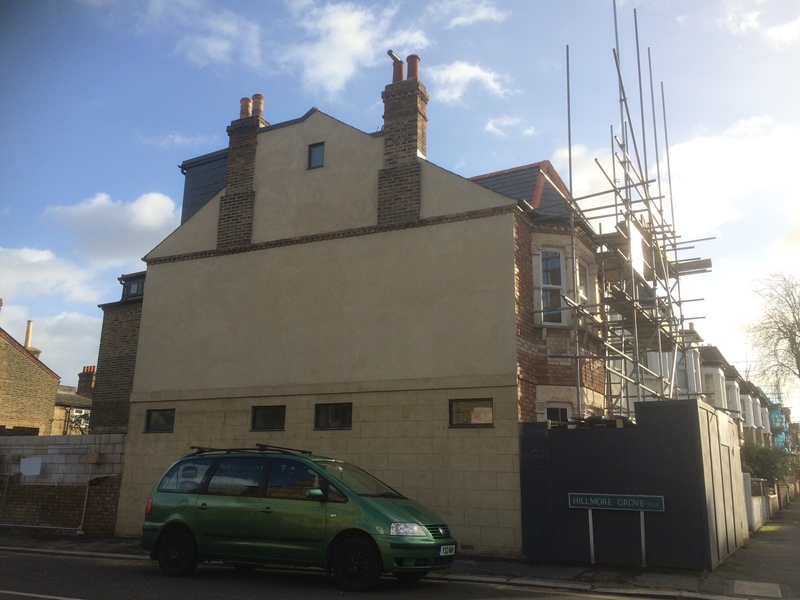 There are better examples in Lewisham that tell more of the history of trades and shopping such as those to the family of outfitters John Campion in Catford and the painters and grainers C Holdaway & Son at the bottom of Belmont Hill that perhaps are more worthy of protection. As the locations are being recorded and photographed on websites such as Ghostsigns, vast numbers probably don’t need to be protected. In any case those that have survived generally only remain by chance – their location has protected them as in the case of the Campion one, or they have been hidden behind more modern advertising hoardings such as the Holdaway sign. In any case, the signs were not designed to last that long and left to the elements will rapidly fade – the Wittals sign on the corner of Bankwell Road and Lee High Road was clear when it first emerged from behind a hoarding around 2005 but is now barely visible. 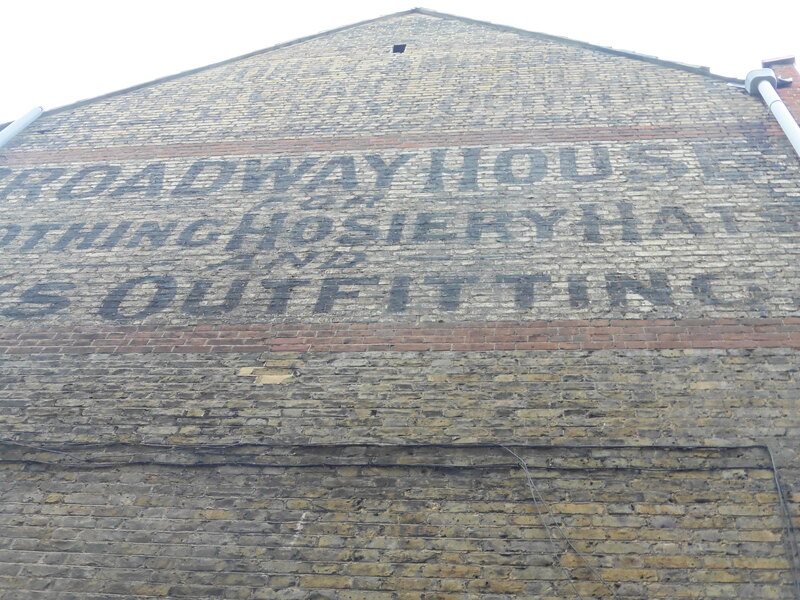 In any case, it is often the story ‘behind’ the sign that is more interesting than the sign itself – helping tell stories of lost trades, 19th century migration into the city and shopping patterns that have changed. 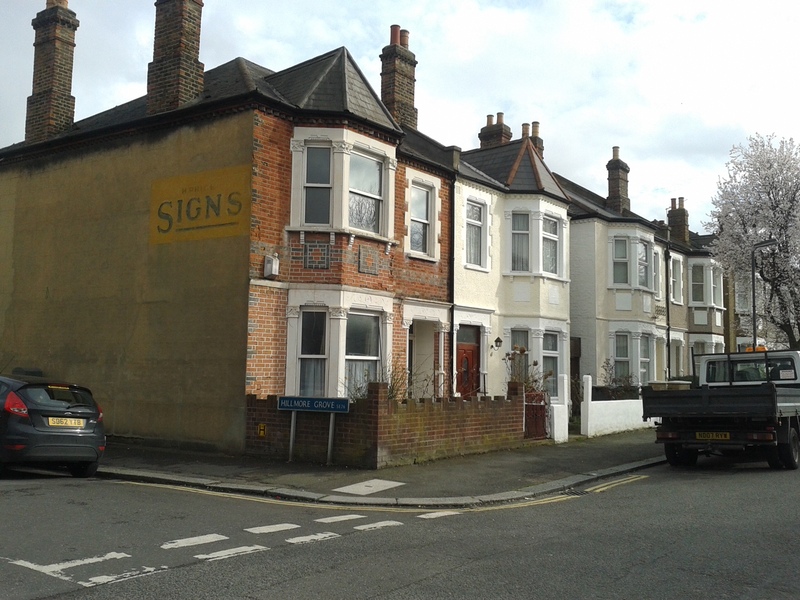 This entry was posted in Ghost Signs, Lewisham History, Uncategorized and tagged Ghost Signs, Henry Price, Knighton Park Road, Sydenham on January 10, 2018 by Paul B. 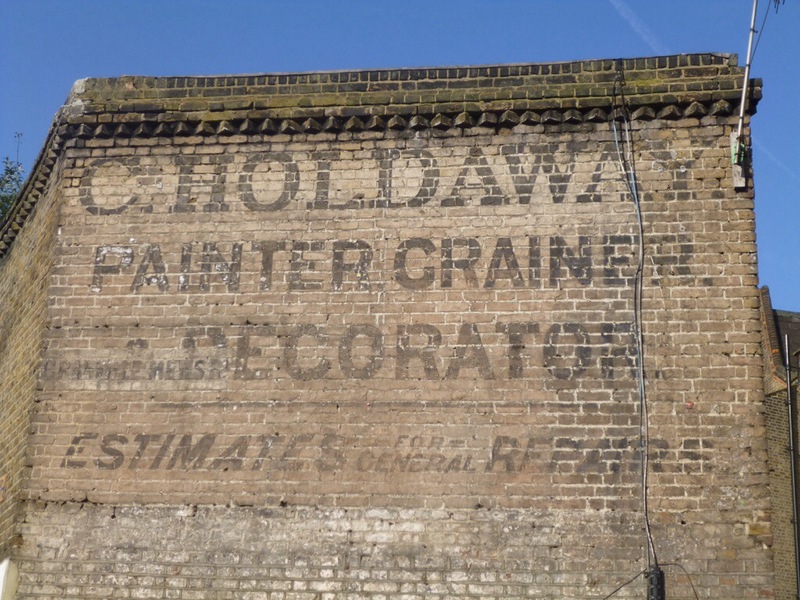 Not strictly a ghost sign, but I remember a wooden “Coal Merchants” sign on the side of a house at the bottom of Wellmeadow Road, at the junction of Hither Green Lane. This survived well into the 1990s but may have been removed by the householder. There was also a Spratts Dog Biscuits enamel sign further along Hither Green Lane, on the corner of Benin Street, near the parade of shops. This too managed to survive into the 1980s before being wrenched from the wall. I just wish I had the presence of mind to have photographed them, before they disappeared!